We’ll send you a simple form for you and your ASE certified mechanic to complete. * QuikTrip reserves the right to investigate all claims submitted. Damages caused by fuel that is not approved by the manufacturer of your vehicle will not be covered under this guarantee. Fraudulent claims will be prosecuted to the full extent of the law. 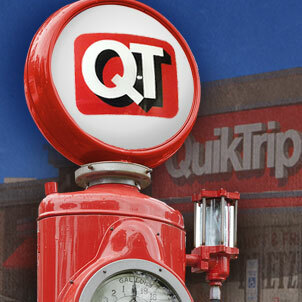 Where does QuikTrip get its motor fuel? 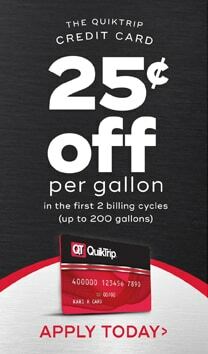 What makes QuikTrip gasoline different? First and foremost, our guarantee. Other than our guarantee, what makes any motor fuel different? Answer: The additives package a retailer chooses to use. All gasoline retailers must meet the government mandated minimum level of additives in their motor fuel and many retailers only add the minimum amount required. At minimum levels, deposits may form throughout your vital engine parts in the fuel injectors, the intake manifold, the intake ports, and on the intake valves. These deposits can cause problems such as lower gas mileage, difficulty in starting, loss of power, and increased exhaust pollutants. They may also cause your engine to idle roughly, hesitate, stall, and surge. At QuikTrip, our blend of detergent additives exceeds government minimums and will not only keep these deposits from forming, it will actually reduce deposits that may have already formed, cleaning your engine as you drive! Some retailers offer higher levels of additives, but only in their premium grades, forcing drivers to pay a premium price for the added benefit. At QuikTrip, we put the same high level of detergent additives in every grade of gasoline we sell. Is QuikTrip gasoline a TOP TIERTM Detergent Gasoline? If your gasoline questions aren’t answered here, please contact us at 800-848-1966.